Lifestyle Viral and Trending 16 Jun 2017 Following DHE-mani! This 19-year-old school dropout is the founder of a youth-mentoring initiative in the city. 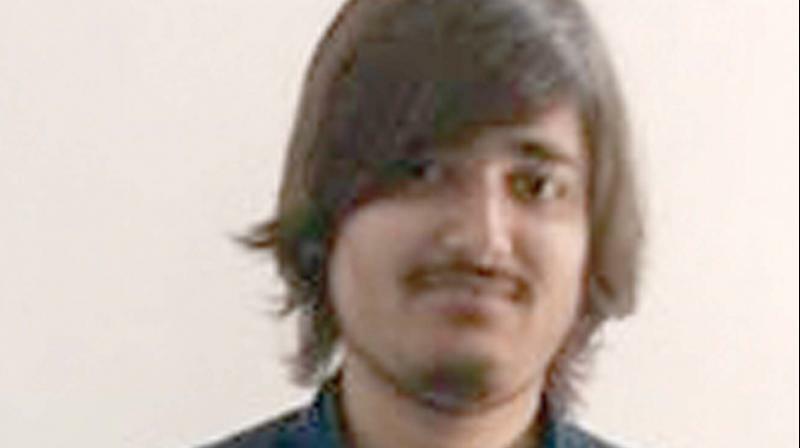 With a hair style which he confesses was inspired by Steve Job’s celluloid representation in the movie Pirates of Silicon Valley, Asad Dhamani, 19, is far from your average teenager. This soft-spoken teenager with some really cool accomplishments under his belt, could be our answer to a Jobs or Gates. While not all kids in Class 11 would have the courage to drop out and decide to chart a course on their terms, this teenager from Nagpur who now makes Bengaluru his home, did! His tryst with technology and computers began in school. “In school, a lot of cool terms like hacking were thrown around. So, I said that I knew to hack. And when people asked me if I could do it, I was forced to learn to save face,” he confesses. All of Asad’s projects post that have been an outcome of his continuous process of learning. At 13, he found attending coaching classes for IIT-JEE, boring and admits to bunking most of them to work on his very first solo creation. Gadgedz — an open source software operating system was the result which had over 30,000 downloads. Why did he drop out in Class 11? “I realised that the conventional route of school followed by a degree took me away from my selective interests and presented a challenge of learning on my own pace.” Supported by his parents without any resistance, Asad set out on his quest to learn and develop in his area of interest. “Though, I dropped out of school, I knew that learning can’t stop. So I started reading, and the Internet was what I turned to,” states Asad. During the course of his self-learning, he discovered the many difficulties faced while bookmarking pages. And voila! Crestify — a bookmarking service was born in 2014 to help others facing similar difficulties. Interestingly, the teenager’s projects tend to have a strong leaning towards education and learning. His current start-up The Climber, where he is co-founder has a flagship programme My Captain (a youth-mentoring-youth initiative) which was recognised by UN SDSN, in its report on the top 50 youth-led solutions in the world working on sustainable development goals. Talking about its success, he refers to the current creative writing mentor, 19-year-old Arti Motiani. “At 16, she had taken up our creative writing workshop as a mentee. Post that, she went to edit more than 11 novels and poetry anthologies. She is getting published soon,” he says with a rare smile on his otherwise hard to read poker-face. So what’s next for this whiz kid? He wants to traverse through the promising field of artificial intelligence and virtual reality. “Artificial intelligence and virtual reality is the leap education has been waiting for, and they are going to revolutionise education. That is where the future lies. So that is where I am heading,” he signs off.